Buy online our clothing and fashion fabric Ramages Ciniglia P02-04. Jacquard fabric with blue chenille base and floral pattern in antique pink and green ramage. Suitable for jacket/dust. 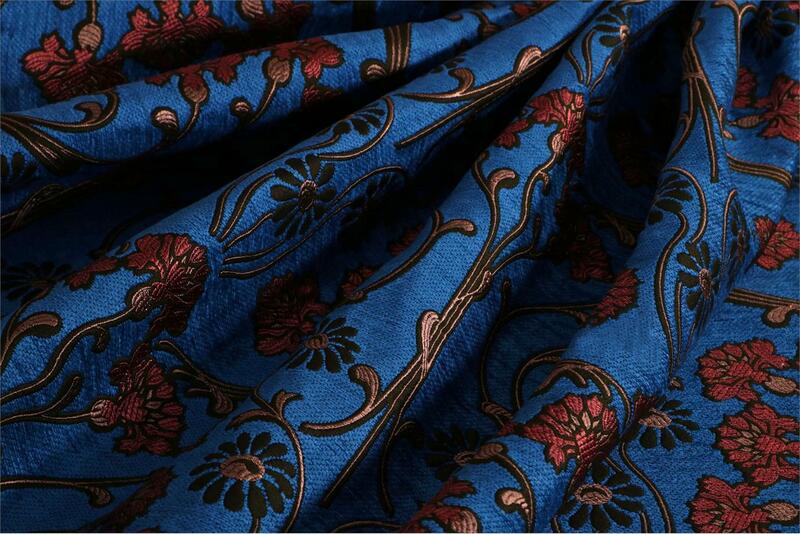 Blue, Green, Pink Mixed Arabesques Damasks Volutes Jacquard fabric for Jacket, Light Coat. Qualità ottima e colore bellissimo!